Grocery shopping is never simple, at least in our case! Reason? Oh, the usual one!!! I feel like a kid lost in candy shop. I am one of those nut cases who spend more than required time gazing, touching, picking, thinking, re-picking, re-thinking, re-picking all those vegetables and fruits and even canned tomatoes till people waiting behind me start to throw darts from their eyes, fire from their mouth and are about to run their cart over me. Every time it’s a same story, go for just few ingredients and end up buying a cart load. I have no idea how we end up with bagful of things when we all wanted to buy was just a bar of soap or bag of potatoes!!! I say to myself, just last time but in the end we leave the supermarket with few extra bags and few extra pounds (wish it was weight!!!) lighter. Well, this is what being expected from me when you do weekly or fortnightly shopping at supermarkets. Well, Krish says he can’t take the high risk of taking me for grocery shopping on weekends when he can watch his favourite sports on telly. Men!!! Few weeks back something different happened. I was looking for a bunch of indispensable coriander leaves at herbs sections and found out they were moved to different aisle. Just when I was about to get annoyed I spotted something which made me almost scream with joy. There it was, one whole shelf filled with Indian greens and vegetables. Bottle gourd, Okra, Bitter gourd, Plantains, Palak, Methi, Sugarcane and big bunches of Coriander and Mint leaves unlike the usual few stings. And to top it all they had even stocked Curry leaves. I did a virtual cartwheel with joy and pushed my cart at record speed towards them like a horse with a carrot dangling in front of it. And I did another virtual happy dancing when I saw 2 for a pound offer for all green leafy vegetables. 2 big bunches of palak, another two bunches of fresh methi leaves and big bunch of coriander, curry and mint leaves were picked at lightening speed. For next few days we had marathon cooking series of Aloo Palak, Dal Palak, Aloo Methi, Methi Matar Malai, Methi Dal and still were left with half bunch of Methi. Not wanting to cook another curry we decided to make stack of hot and delicious Aloo-Methi Paratha. Oh yes! I am still in honeymoon period when it comes to stuffing and rolling parathas since I made first batch of Aloo-Peas Parathas few months ago. And every time I stuff and roll them I feel giddy with joy of getting evenly stuffed and perfectly shaped parathas. This time I kept the filling very simple and minimal. Few green chillies for heat, amchur powder for tanginess, and cumin for fragrance is all I needed. Hing is added for digesting starchy potato. All these ingredients complimented little bitter fenugreek leaves and creamy potatoes. Served with a bowl of creamy Yogurt and spicy Garlic Pickle, it was one very fulfilling and delicious rainy and gloomy weekend brunch. Off my stack of Aloo-Methi Parathas go to dear Latha who is guest hosting this month’s WBB-Combi Breakfast initiated by lovely Nandita and also to dear Redchilli who is guest hosting Herb Mania-Fenugreek initiated by Dee. Wishing all my fellow Indian bloggers a very Happy Independence Day... Jai Hind. Sieve atta and mix in salt, yogurt. Slowly add warm water as and when required and make stiff dough. Cover and keep it aside for at least half an hour. Mix in chopped green chillies, dry mango powder, roasted cumin seeds, salt to taste with chopped methi/fenugreek leaves and mashed potatoes. Make sure the filling is lump free as it will be easier to stuff and roll the paratha without the filling oozing from the sides. Make equal lemon sized balls and keep them aside till needed. Knead the dough again for a minute and make equal lemon sized balls. Roll this dough ball in flour and roll them using a rolling pin into thick poories of 4 inch in diameter. 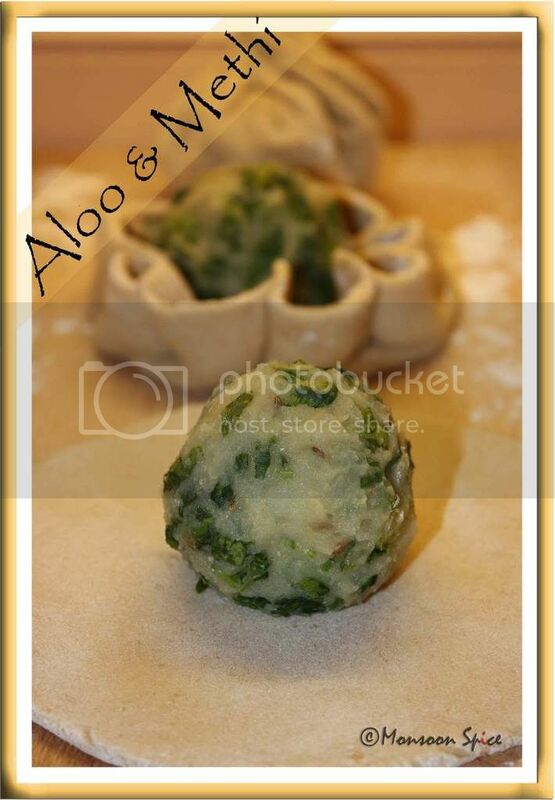 Place one aloo-methi ball in the centre. Cover and seal the ends and roll again, dusting flour if necessary, into ½ cm thick roties using rolling pin. Mean while, heat a griddle at high flame and lower it to low-medium flame. Gently dust off the excess flour and place Stuffed Paratha on hot griddle and cook on both the sides till its cooked well and brown spots start to appear on top. Apply little ghee/oil if desired. Serve hot Aloo-Methi Parathas immediately with any curry or with plain yogurt and pickle of your choice and enjoy. Before mashing the potatoes let them cool completely. This way the filling will remain dry and filling will not ooze out from covering. Make sure that the potatoes are mashed without leaving any lumps. This helps in rolling the parathas with even surface. The leftover parathas can easily be frozen. To do this, cut few square sheets of butter paper or baking sheet of equal size so that it covers the paratha well. Place a paratha on one sheet and cover it with another square sheet. Place another on top of it and repeat till all the parathas are over. Place this in a large zip lock bag and store it in a freezer. It is better to write the date on which the parathas were cooked. I usually use them by one month. 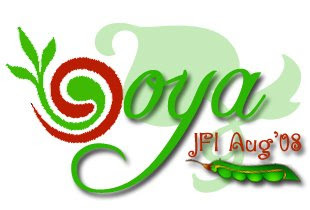 I invite you all to celebrate Jihva for Ingredients with this month’s theme JFI-Soya. Choice of Soya products, the recipe, ingredients, method etc is entirely left to you. I would greatly appreciate if you can send me any Vegan or Vegetarian recipes but I leave it to your choice. Soya foods include tofu, tempeh, textured vegetable protein (chunks, mince etc), miso, soya sauces, soya oil and margarine, and soya dairy alternatives. Please go through the guidelines and include all the required information in your post and also in your e-mail while sending your entry. Don't forget to add Your Name, Your Blog Name, Name of the Dish, Type of Dish and Perm Link of the entry along with the gorgeous Photo of final dish. Click Here or on the logo to find out more information on this event. Happy Independence Day to u dear. Ha ha... it wasn't Tesco by any chance was it? I wrote a very similar post earlier last week when I found a whole new shelf of Indian ingredients (like bhindi and curry leaves) at my local one. Hurrah! I too go crazy and experience all your emotions while shopping ...prefer to go alone, at my pace...Dinesh keeps dragging me away too! Your shopping exp looks a lot like mine. V has told me now that he will never take me to any grocery shopping :(. And whenever he does shopping, he never even gets one item more than whats written in the list..hehe.Good for our budget ;). I too have an undying love for parathas. Its like a craze :). Beautiful pics as usual. hi... I can actually imagine you cartwheeling with joy at the sight of indian veggies! I am the same... and go all wobbly when I see fresh green leafs - I must've been a goat or something in my last life. 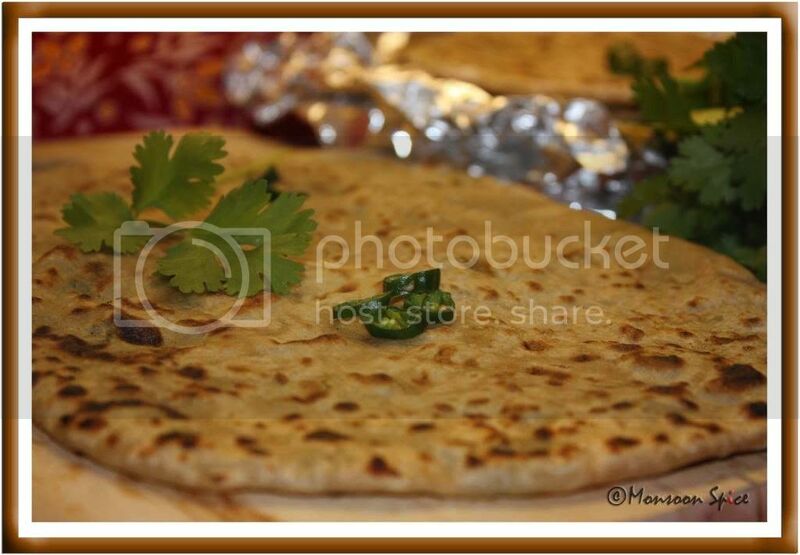 Aloo methi parathas looks great I love the pic with the stages. nice shot. Happy Independence day too also Sia.. i love all these parathas. didnt try this one.. nice one.. I am so happy to hear that you can get all the Indian Leafy Vegetables now:-) Aloo-Methi Paratha is new to me, I mean I never thought of combining the two, I only made them separately Aloo Paratha, adn Methi Paratha. This is deinitely a combo breakfast! Love the notes, never thought of making more and saving for later, or the fact about the potatoes being completely dry. Thanks and great pics to drool at..
pics are mouth drooling and its a good recipe! I make this with leftover aloo-methi ki sabzi, which means that it is a rare treat! As for the shopping saga - women are from Venus, I guess! I am the same too, but then most of us ladies love the shopping part where we buy everything else but what we have in mind!! hmmmm... now, which is this supermarket? brit palates are much more 'evolved' than amru ones. that's why they stock more 'unusual' ingredients in supermarkets. Hello Sia,really enjoyed ur post and it is exactly same with me also.I just love to browse the aisle of Supermarket and when I realize that my hubby will be paranoid with this,I see both my son and my hubby happily browsing the toy section without any guilt. The paratas looks awesome and nice presentation. I could imagine you running with your load with eyes popping out happily towards the shelf!..heheheh...lovely as usual! I made parathas for the first time after checking your Gobi Paratha recipe.Surprisingly,it turned out great.So now i am confident to try this aloo-methi combo.In fact,I want to try every recipe on Monsoon Spice. Delicious combination. Am linking it to the 1001 Parathas one page cookbook. Thank you very much for this entry dear Sia. 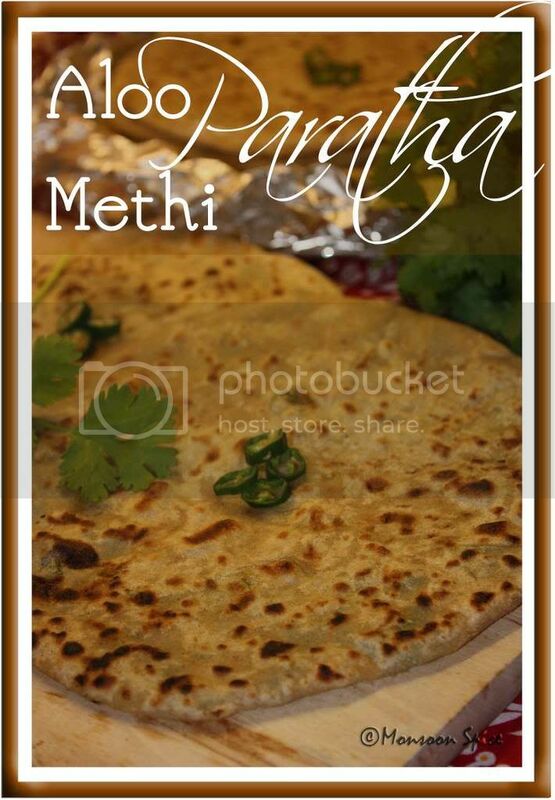 the parathas look very yummy! Hi Sia,Catching up on ur blog!!! Those parathas look so mouthwatering! hehehe!! I can picture u in my minds eye doing that (virtual) cartwheel!!! Thanks for commenting on my blog Sia. Your presentation is too good. They look so yummy! That picture made my mouth water... I'm so hungry! That is it! I've been reading your blog like a book and I am going nuts with the wonderful foods you are posting here.! I am going to bookmark you and link you to my site. Gosh...even if you don't post frequent you have a wealth of great recipes AND photos here girl! Yummy parathas...Juts love these..Will definitely try this out! 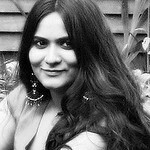 Dondakaya Vepudu: What's in a Name?